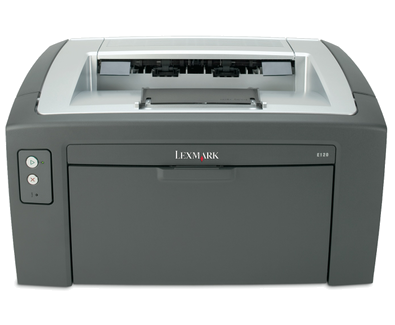 The smallest and most affordable laser printer Lexmark has ever made, the E120 is great for getting small print jobs in your hands fast. With its sleek black design, it looks great on any desktop. And thanks to its crisp laser print quality, your documents look good too! The E120 delivers business-class performance. You get up to 19 ppm print speeds at just 8 seconds time to first page and a simple paper path for a smooth, reliable feed, plus hassle-free buttons and icons to make working easier on everyone!